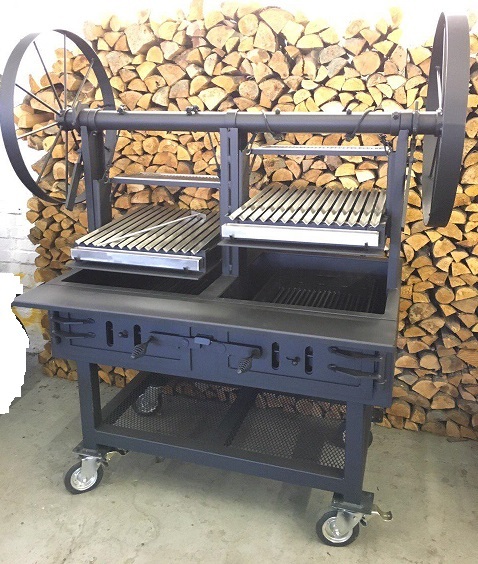 Its a ultimate wood or charcoal grill pit for catering business use. 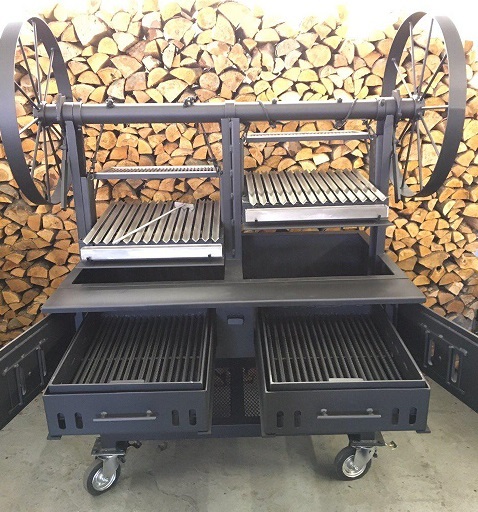 One of the most beautiful barbecue grill pits we have ever built, these Argentine dual barbecue grill feature heavy duty 8mm steel thickness construction, comes with two independent grilling areas equipped with removable stainless steel V-shape cooking/grilling grates, catch trays and warming/resting shelfs. 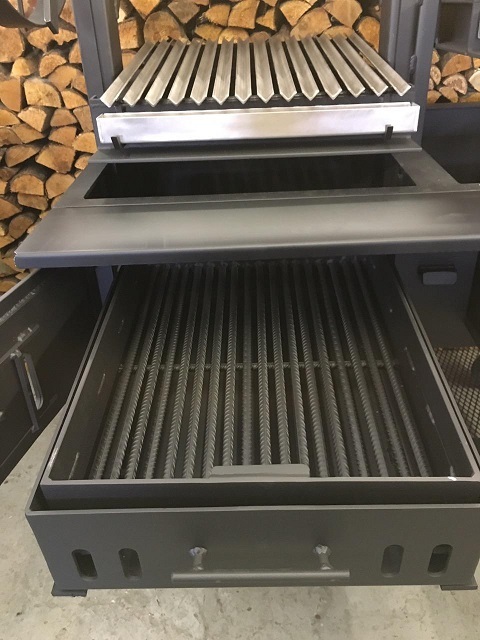 Two pull out charcoal/wood drawers made of 12mm reinforced steel rods and 6mm steel plate, also equipped with ash catcher drawer, doors complete with air intake dampers, the grills also comes with removable front shelf. 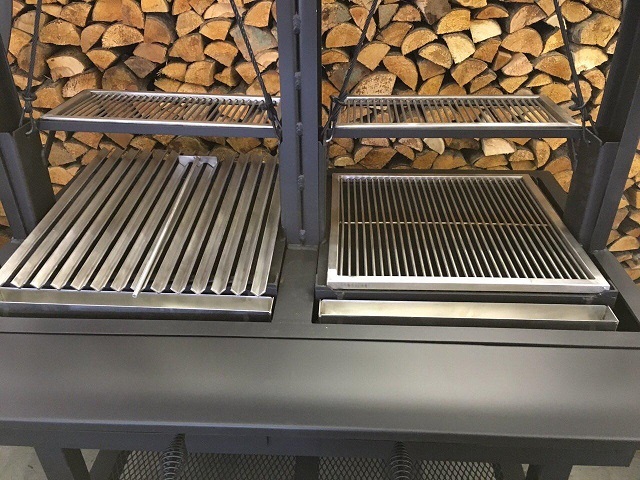 The Grill mounted on the heavy duty stand made of 50mm square tubing, heavy mesh shelf at the bottom and heavy duty braked casters . 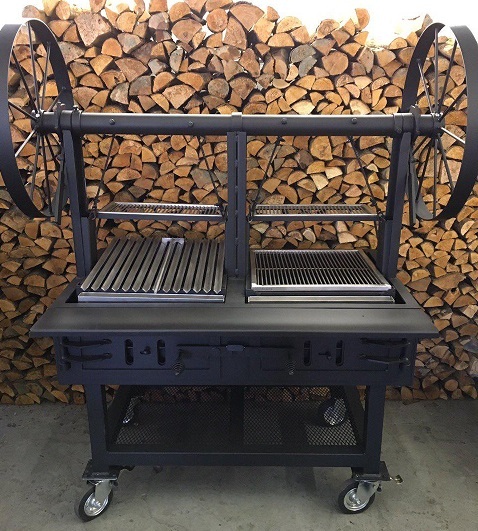 Large two independent crank wheels allow the chef to adjust the height of the cooking surface with the rise and fall of the flames. Stainless Steel V-Channels slanted at 4 degrees capture juices for basting and sauce preparation. 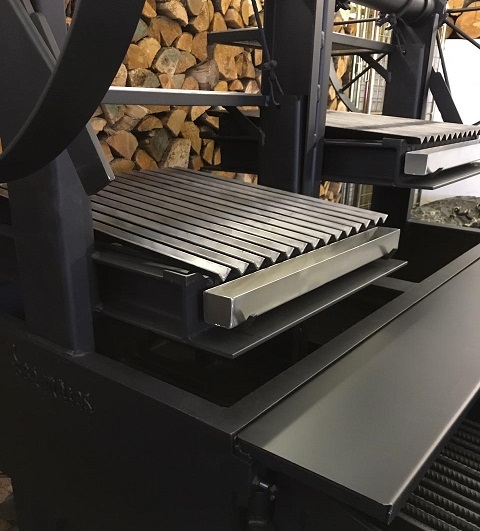 Also it comes with removable stainless steel warming/resting shelfs above the main grates. 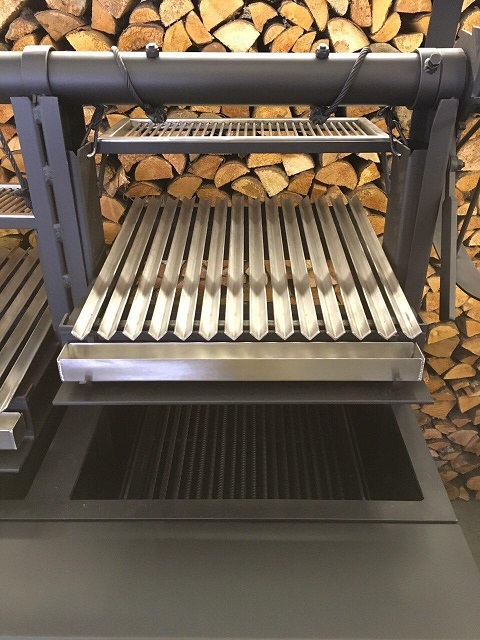 Argentine Grills are designed to allow close temperature control during grilling, also channel fat away from the fire to a drip pan preventing flareups which damage the flavour of meat. 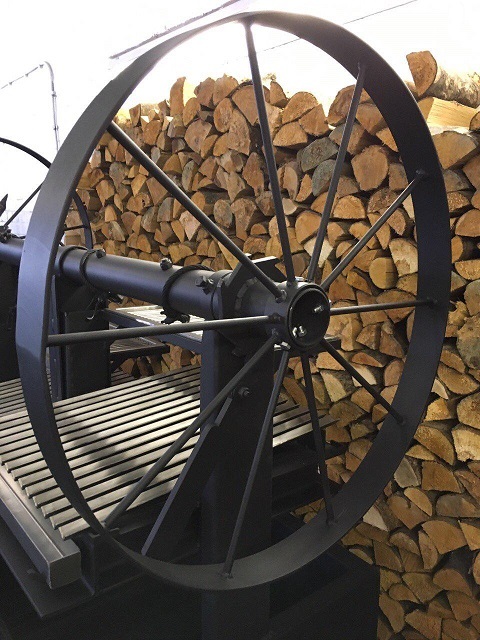 Low and slow cooking, or a quick burning sear, is all up to you, because you’re in complete control with the ability to raise and lower the grilling surface with a simple rotation of the grill crank wheel. 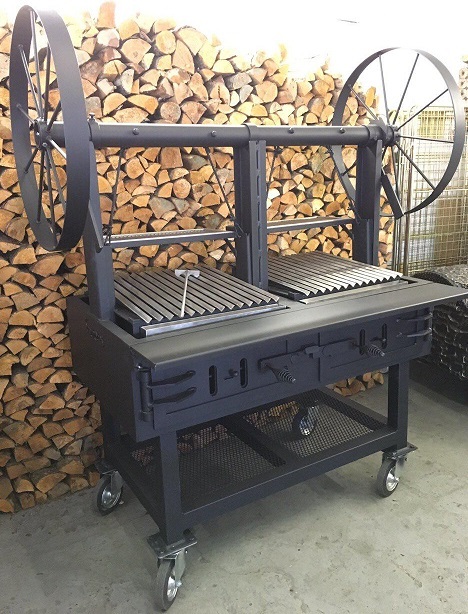 Argentine Grills can be used with charcoal or wood. 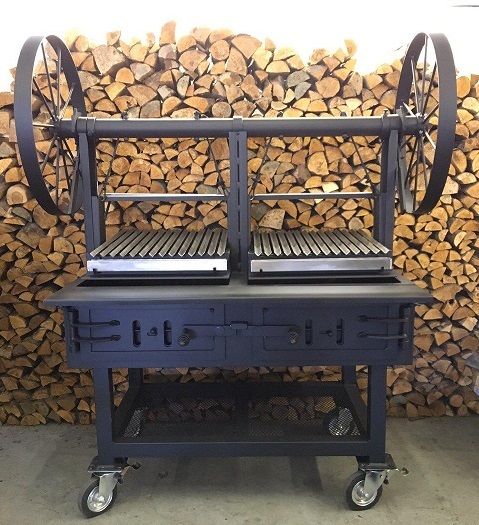 Wood offers the best flavour to grilled meats. 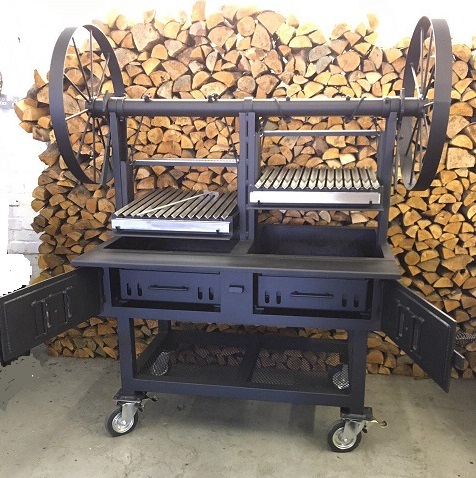 It also provides optimal heat that lasts longer than charcoal.